Eden has always let her head lead the way. It’s why she excels at ballet, at school, and at life in general. But when she nearly drowns and then wakes from a month-long coma, everything is different. She’s troubled by dreams that seem more real than waking life, and her neat cookie-cutter existence is no longer satisfying. Unable to stifle her passionate heart anymore, she finds herself drawn to a boy with melting-chocolate eyes, and to a future different to what she ever imagined. That’s when Eden discovers that when it comes to love, first you fall, then you have to leap. But Then I Came Back is a young adult novel about a girl who wakes from a coma. 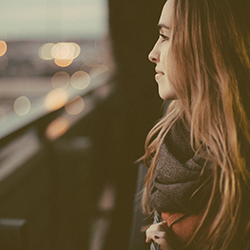 She remembers things from when she was unconscious — she remembers another girl and she remembers the light, easy feelings she had. Everything was simpler then, and then she wakes up and she has to learn how to eat and talk again and she’s confused about everything. 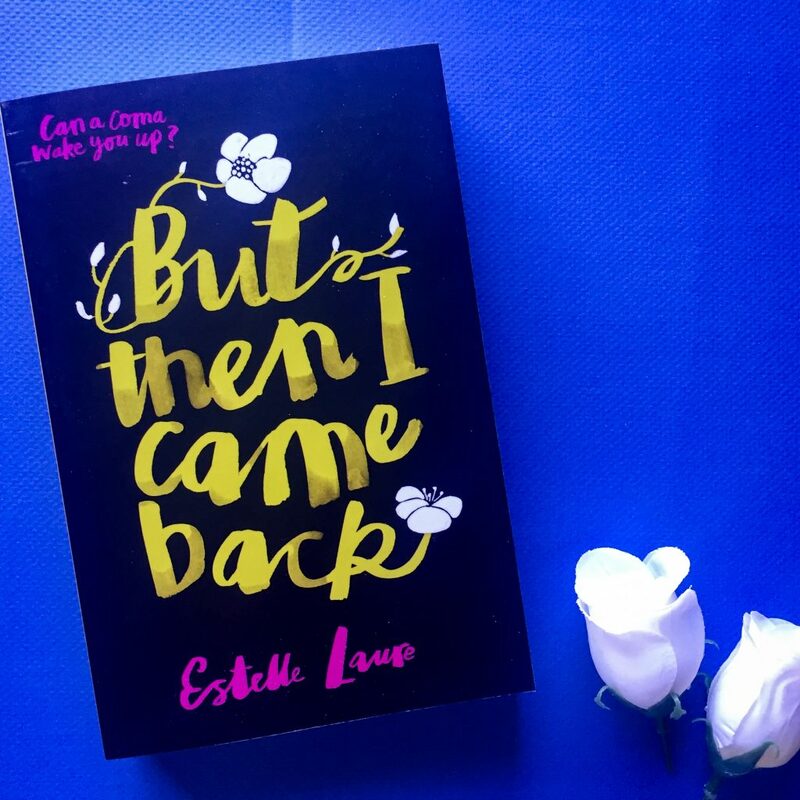 Firstly, you should note that But Then I Came Back is a sequel to Estelle’s debut novel This Raging Light. This book takes place after This Raging Light ends, and features the same characters but from a different perspective. You don’t need to read Estelle’s first novel to be able to follow this (I hadn’t read it) but I imagine it would make a lot of things easier. There were moments in the book where I felt like I was missing something, like a certain character wasn’t really introduced but they should’ve been. Finding out that this is almost-but-not-really a sequel was a big ‘AHA!’ moment for me. This book raises a lot of questions about death and what happens to a person when they’re on the brink of dying but then they come back. What do they see? How do they feel? Are they changed after this moment? When Eden wakes up in hospital, she realises that the girl that she saw when she was unconscious is the same girl who is still in a coma in the same hospital ward as her. But that girl looks like she’s not going to make it, and all of sudden Eden is starting to think about death and dying and if anyone else has experienced something similar when they almost died. I quite enjoyed this book. I think Estelle took a concept that is quite common in young adult fiction (a young girl waking up from a coma) and made it that little bit different. It forces the reader to think beyond the normal, into the paranormal. At one point, Eden consults a woman with supernatural abilities to see if she might be able to contact this unconscious girl, and she befriends a young boy Joe who is the only other person visiting this patient in the hospital. I loved the strong sense of family in the novel — despite some bickering, Eden and her twin brother Digby are quite close and he’s there for her when she wakes up. Her parents are also supportive and helpful and it’s nice to see their presence in a young adult novel. The beginning chapter, written from the point of view of Eden’s best friend Lucille, probably isn’t needed and could’ve been deleted from the book. Mostly because it’s written in second person, when the whole rest of the novel is written in first person from Eden’s point of view. Additionally, there’s no real reason why Lucille needs to have a chapter in the book when it’s about Eden and how she copes with waking up from the coma. Perhaps this was done for those readers who’ve read This Raging Light. Another weakness in the novel was Eden’s friendship with Joe, which was a little underdeveloped and their feelings for each other were a little vague in the book. At times, I felt like his character was a little redundant and was causing the book to go off tangent. He didn’t feel important enough and he didn’t feel like he was aiding Eden as much as the blurb made him out to. But Then I Came Back is a quick, enjoyable read for those of you who love young adult fiction. You don’t need to read the first book to understand this one, so you should regard this as a standalone.